A civil society network ICAN representing of over 450 organisations in one hundred countries, was awarded the Nobel Peace Prize for 2017. ICAN ,Co-Chair ,Rebecca Johnson, said:“Our international network has worked so hard to ban and eliminate nuclear weapons. The nuclear threats being issued by President Trump and North Korea remind us that nuclear sabre rattling can lead to nuclear war through arrogance or miscalculation”. “ICAN collaboration with the British civil society for nuclear disarmament for many years had brought in to limelight that the Nobel Award encourages efforts to persuade the British government to sign the UN Nuclear Prohibition Treaty, cancel Trident and take the lead to eliminate all of these abhorrent weapons of mass destruction,”said Johnson. 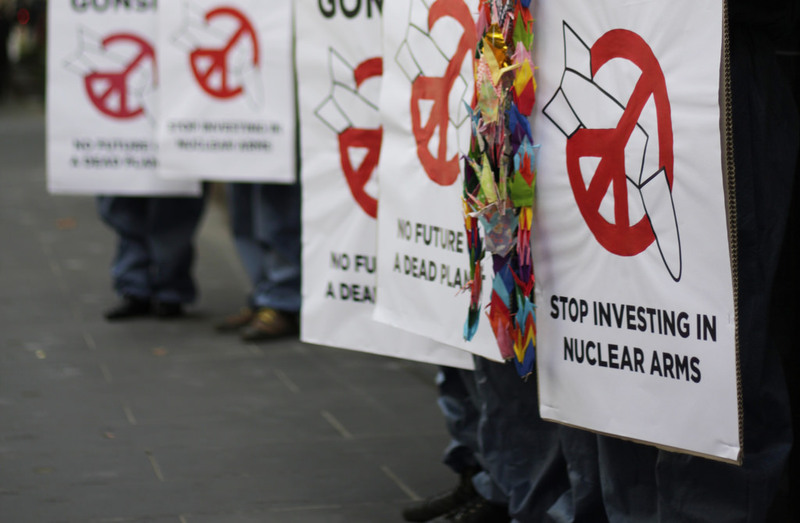 The global treaty banning Nuclear weapons, campaign led by ICAN in july this year caused the UN treaty to be adopted. The treaty claimed all states committed to never “develop, test, produce, manufacture, otherwise acquire, possess or stockpile nuclear weapons”. “The 2017 Nobel Peace Prize highlights the importance of this new treaty at a time when the threat of nuclear weapons is more pressing than ever in recent decades”. “Despite the politics of these weapons, the scale of humanitarian suffering that they can cause means they cannot be considered acceptable, and that is why ICAN here in the UK and internationally has worked for them to be banned,”Said Moyes.